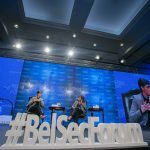 The closing panel for the Belgrade Security Forum 2018 was given by H.E. 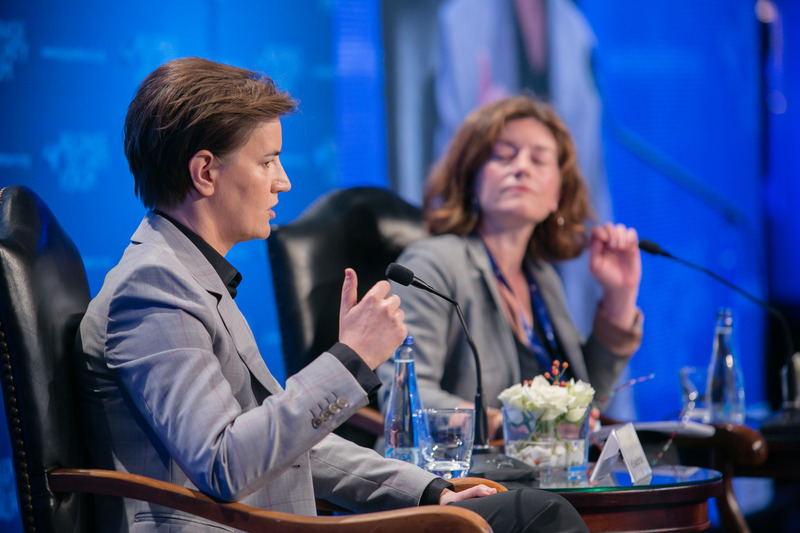 Ana Brnabić, Prime Minister, Republic of Serbia. Guiding the panel was moderator Natalie Nougayrède, Columnist of The Guardian. 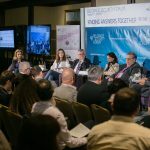 The main problem facing the panel was how Serbia can overcome 21st-century problems, like high youth unemployment, while still facing what H.E. Ana Brnabić called “19th-century problems,” like solving a potential armed conflict. 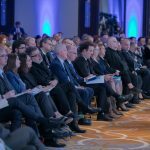 Given these range of problems Serbia is facing, how can it move towards a better-connected region? Regarding the differing views of the United States and Germany concerning a border swap with Kosovo, Nougayrède asked how H.E. 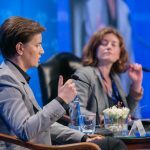 Ana Brnabić approaches these differing views? 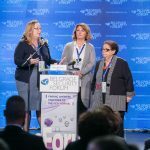 In response, she explained that a “frozen conflict” will always be holding Serbia back. “As a country of the 21st century, we need to have more jobs, better income, better quality of life,” she stated. However, if this frozen conflict exists, these problems cannot be solved as there will be continued instability and unpredictability, meaning investors will not come and a talented, younger generation will not stay. 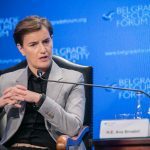 Therefore, the status quo regarding the borders of Serbia and Kosovo is not in the interest of Serbia, Brnabić stated. Continuing on the topic of relations with Kosovo, Brnabić disregarded the criticism that a potential border swap is opening “Pandora’s box.” She made the point that “Pandora’s box was opened ten years ago in 2008,” referring to when Kosovo declared independence. She criticised that this decision was made unilaterally, in an undemocratic manner, and yet, other countries joined in support. “Pandora’s box was opened then, and now we are trying to close it,” she stated. Nougayrède then turned to a topic not as commonly spoken about in Serbia: inequality. 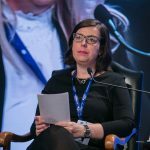 While not unique to Serbia, it seems that macro growth may not be benefiting all citizens, and when this inequality is combined with a fragile democracy, a “dangerous cocktail” is created, Nougayrède said. Prime Minister Brnabić agreed that this issue is not discussed enough, and there is a large disparity between the poorest and the wealthiest citizens. To combat inequality, she is focusing on sources of new investment and improving infrastructure. 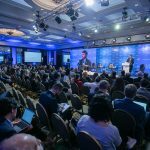 Moving forward from here, it seems that Serbia will need to tackle issues from the past in order to move forward to a Serbia of the 21st century.